Home › RSM’s : What are they? At the very core of the way our bodies work is energy production from the REDOX biochemical reactions converting food and oxygen into energy, carbon dioxide, and water. This is called cellular respiration. Large molecules are broken down into smaller ones, releasing energy in the process. 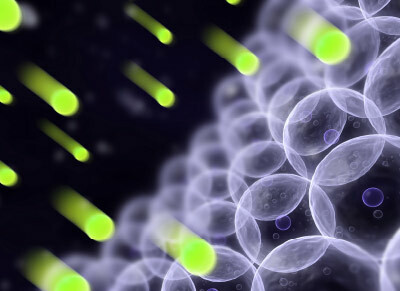 The exchange of energy involves the transfer of electrons from one molecule to another. This “combustion” of sorts, called the Krebs cycle, creates cellular energy (ATP) and also various molecular side reactions. There are a collection of very tiny molecules created in these side reactions, which vary in size from 2-4 atoms, and are called REDOX signaling molecules (RSM). They are generated in some cells a million times a second, and also used to carry out their work equally as fast. It is no wonder that these molecules are so pivotal in our biology. The location for all of this energetic creativity in the cell is the mitochondria. Some cells have 5000 mitochondria per cell (cardiac muscles) and some have just a few (connective tissues). Thankfully our cardiac cells are so efficient in creating and using energy; they never rest from their labor. The RSM produced in cells have a multitude of important missions. They serve as messengers inside and outside cells. They direct cellular actions such as cell division, cellular death cycles, and cell membrane receptor gatekeepers. We should think of mitochondria at the heart of our biology, and REDOX signaling molecules giving it a way to integrate itself with the cell and ultimately the organism. These tiny RSM’s alert the mitochondria to adjust to the real-time changes in the cell environment, which is influenced by the rest of the organs. 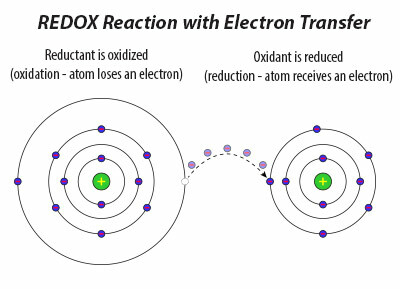 REDOX simply means chemical reactions in which atoms have a transfer of electrons between themselves. The word is a blend of reduction and oxidation. The former is referring to gaining electron charges and the latter to loosing them. In human biology the stress of oxidation, or an internal process of “rusting,” is constantly challenging us. We adapt to this challenge with the help of various REDOX mechanisms, which help us maintain balance. Glucose, for example, is oxidized to manufacture energy, and this REDOX reaction allows us to live. There are REDOX signaling molecules created in this reaction that guide and direct the cell in other vital cellular activities, such as helping the cell eliminate waste, and self-repair and protection. Interestingly, the companion reverse REDOX reaction is photosynthesis. In photosynthesis (in plants), carbon dioxide and water are returned to glucose and oxygen with the help of sunlight and chlorophyll. All of our health problems are due to cells that are unable to maintain a healthy REDOX potential. The immediate result could be cellular death, overwhelming infection. In our industrialized world our challenges result in chronic imbalances in cellular health causing chronic oxidative stress that the body is unable to overcome. Aging, poor diet, mental stress, poor hydration, and inadequate exercise set the stage for this imbalance, which advances the pace of aging (as well as illness). Today there is a promising development in health science. For the first time we are finding that supplementing our tissues with stabilized REDOX signaling molecules has provided the core content of molecular resource for the cells. Cells then apply the REDOX resources. Upon this infusion of electrons and molecules hinges the whole equation from the tiny mitochondria to the whole person.